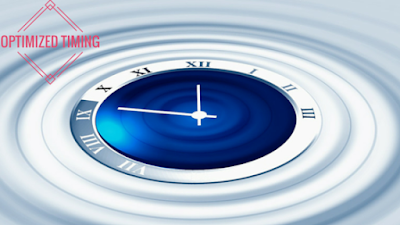 Have you ever wondered what time would be the best to send your subscriber emails? Many marketers provide statistics such as, “When subscribers opens their emails”. This new email marketing tool will be a game changer in the digital marketing world. Countless blogs are fighting for you to read their data analysis. Spending enormous efforts to give you the most current and ground breaking information. They try to dazzle you with specific times when you should or shouldn’t send one based on their research. Even, offering gimmicks, tips and tricks. Email Marketing is a global market. To be able to send at the most optimal time is course in advanced mathematics. These are just some of the variable you need to include in guessing what time to send for the best open rates. Figuring which time zones the majority of your subscribers are in. What days and times are best according to your niche. The culture of that particular time zone and area. Should you send on weekends? Just these factors alone will eventually cause a distinction for those that aren’t in that sweet spot of your chosen sending time. Perhaps you threw every report you had out, and put everything on a HOPE or a WISH people will just open your emails at the right time. You leave it all to guessing, or you just gave up on how to go about this obstacle. Fear not, hoping and wishful thinking is now over. The time has come! With this NEW email marketing tool, We analyze your subscribers activity, then track when they typically open your email and create schedules based on their behavior. Well, simply put it, we’ve done something incredible. If Subscriber A typically opens their email at 9:00am – 10:00am, we will deliver your email around that time. We will trace and retrace using our system to provide optimal, and make decisions for you. This email marketing tool will do all the leg work for you. No more worries with Optimized Timing with Sendlane™. It is currently in Beta, and we anticipate our released date in October 15th, 2015. We want to ensure you that your emails will be delivered according to your own subscribers predictabilities. Say goodbye to wasting your time trying to figure it out.